Five-time European champions Liverpool have made an enquiry for in-demand Eintracht Frankfurt striker Luka Jovic according to reports emanating from the media in Germany. German newspaper Sport Bild claim that the Reds have contacted Portuguese giants Benfica about a possible transfer for the in-form Bosnian-born Serbian striker. 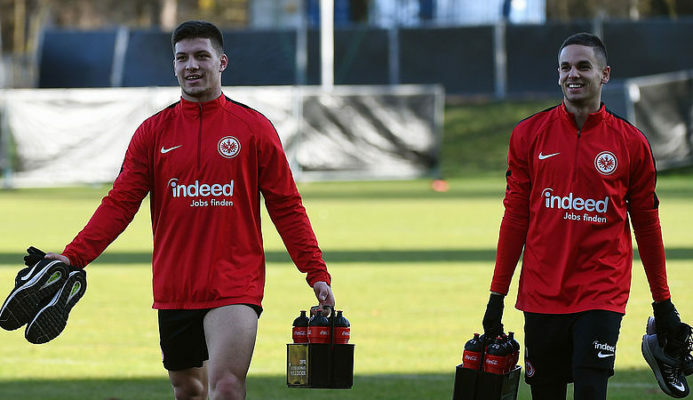 The 21-year-old has been in sensational form for Eintracht Frankfurt this season and that has led to a lot of enquiries from major European clubs including Premier League title contenders Liverpool. Luka Jovic is on loan at German Bundesliga side Frankfurt from Benfica. The Serbian international has scored 19 goals in all competitions for Eintracht Frankfurt in this campaign including 14 goals in 15 German Bundesliga games as well as 5 goals in 6 Europa League matches. Apart from Liverpool, Luka Jovic has also been linked with clubs like Barcelona and Real Madrid. Earlier reports had claimed that Spanish champions Barcelona have agreed on a deal for the striker as a long-term replacement for the ageing Luis Suarez but that’s not true though the Catalans have a strong interest in him. Some other reports revealed that European champions Real Madrid have made a bid worth £40m in a bid to secure his transfer ahead of both Liverpool and arch-rivals Barcelona.